The Museum has a new medallion each year. 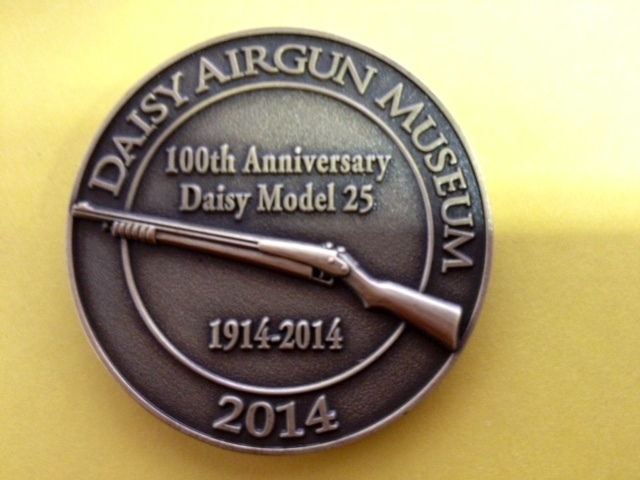 The 2014 medallion commemorates the 100th anniversary of the Model 25 pump gun. Get yours while they last!